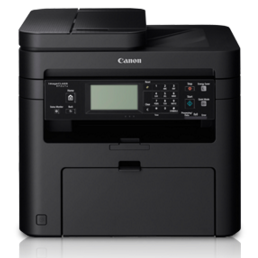 Canon imageCLASS MF217w Printer Driver Download - Canon imageCLASS MF217w is a wireless all in one printer that can relieve your Office work. imageCLASS MF217w is very easy to share and connect. It is very easy to operate activities photocopying, print, Scan and fax from a 6-line monochrome LCD touch screen. Print Speed [A4]: Up to "23" ppm / Printing Resolution: up to "600x600" dpi / Copy Speed [A4]: Up to "23" ppm / Copy Resolution: up to "600x600" dpi / Scan Resolution : Up to "600x600" dpi (Optical), Up to "9600x9600" dpi (Driver Enhanced) / Modem Speed: Up to "33.6" Kbps / Fax Resolution: Up to "200x400" dpi. Supportdriverprinter.com provide download link for imageCLASS MF 217 w publishing directly from Canon website with easy-to-download, to get the download link can be found below.